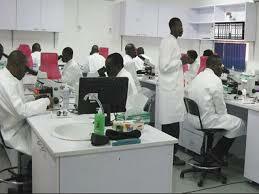 Medical students to spend seven years, not 11 – NUC - BlogIT with OLIVIA!!! The National Universities Commission has described as erroneous and misleading the news making the round that Nigerian medical students will now spend 11 years to obtain their first degree.The NUC’s Head, Information Department, Mrs. Adebukola Olatunji, said in a statement on Monday that medical students will only spend seven years in school, rather than 11 years which was widely reported in the news. Olatunji said newsmen misrepresented the NUC’s Executive Secretary, Prof. Julius Okojie, who was quoted to have announced the 11-year training period for medical students while giving the keynote address at the matriculation and inauguration of the University of Medical Sciences, Ondo, on March 12, 2016.She said nowhere in the keynote address, entitled, “Development of Medical Education in Nigeria: Prospects and Challenges,” was 11 years mentioned or implied. According to Olatunji, what Okojie explained was that the NUC’s basic minimum academic standard for Medicine and Surgery had been reviewed such that anyone wishing to study Medicine and Surgery and Dentistry will first have to study any of the four-year basic medical science courses, such as Anatomy, Medical Biochemistry and Physiology, before proceeding to the clinical training that would run for three years.